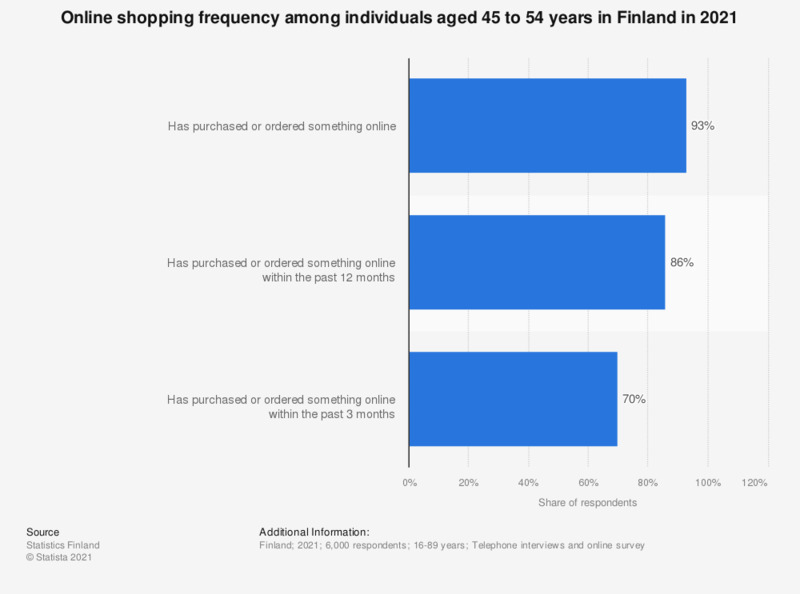 This statistic shows the online shopping frequency among 45 to 54-year-olds in Finland in 2017. According to the source, 85 percent of the population in this age group had purchased something online. Moreover, 66 percent had made an online order within the past 3 months.